I was very impressed by the quality and value of my watch purchase from Watchshop. The online ordering was very simple and delivery was first class. I am very happy with the delivery and the ease with my purchase. I ordered it online and I was emailed to say about the delivery and received it within 2 days a very happy customer Thank You. 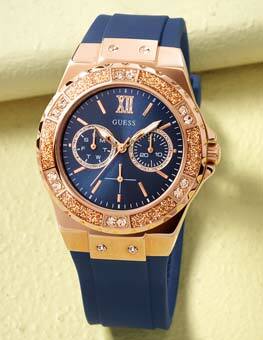 Love this watch,fresh blue dial,classic leather strap,looks classy and tops off whatever outfit you wear it with. The watch is lovely and came well packaged and in working order. Really happy with the watch. Was looking for something a bit different, so the blue face was great to find and looks really nice. Very reasonably priced as well, but definitely doesnt look cheap. This watch is amazing and looks much better in person. 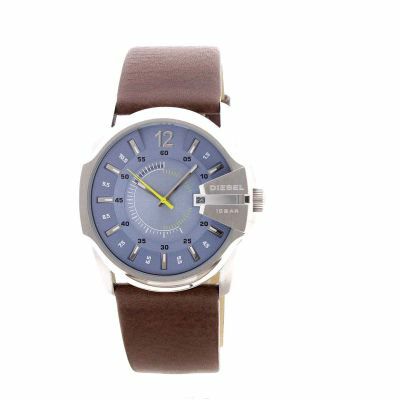 It has a sturdy thick brown leather strap which contrasts really well with the blue watch face, making it stand out a lot more. The watch itself has a nice clear face making it easy to tell the time. 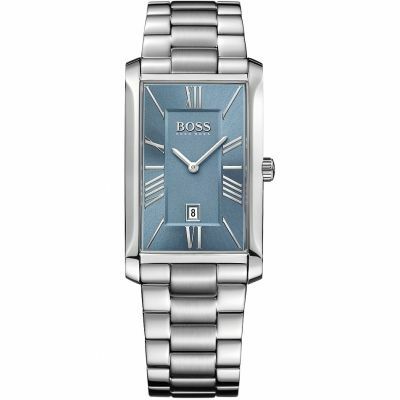 Overall I would highly recommend this watch for both casual and business wear.I would definitely use WatchShop again. Chunky enough for a larger wrist. Stylish enough for the older discerning gent. Very pleased overall however the date feature is very small and difficult to read. Product is great and my boyfriend loves the watch. We love the blue Dial as its unique and classy. There is nothing we dislike about the watch. The leather strap enhances the blue dial and has a quirky yellow ticker which makes this watch stand out from the other watches. Its not bulky and is the perfect size for any man. Bought this as a gift for my boyfriend and he absolutely loved it! It arrived two days after the purchase and I was well informed of its dispatch etc through email. It is well worth the money and I only hope I get as good a present! 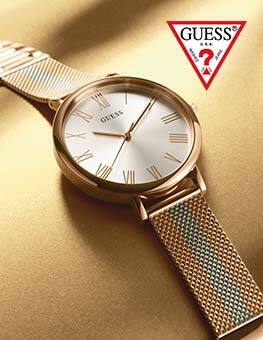 High quality watch, distinct colour and features. 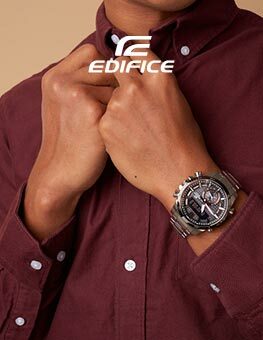 Looks really expenisve and seems to be exclusive to the watch shop as I could not find it in any stores. So impressed with the look and brand and the amazing price. Absolutely chuffed. Fantastic service provided by Watchshop. They delivered when they said they would. Product was in perfect condition and packaged well. Perfect present for my partners Fathers Day present. Thank you. Made up with the watch! Good fit, looks brilliant on. Highly reccomended and will definitely be using the site again! I always buy watch from watchshop !! Reliable, very good service & cheaper then anyone in uk!! Thank you watchshop. 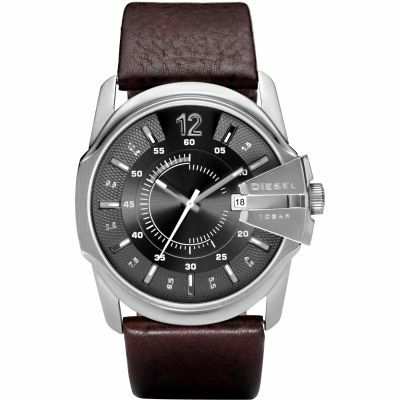 I saw this watch on your website as a sub for breil watch and immediately liked it and thought thats the xmas pressie for my husband sorted. When he opened it on xmas day he was very surprised and thought it was a very striking looking watch. To say he was pleased and very happy is an understatement. 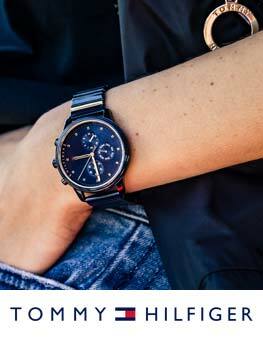 The watch itself is very smart and elegant looking and very cutting edge looking. My husband is enjoying his watch alot, what more can I say! !